Nick graduated from Queensland University of Technology in 2007. His working career in Podiatry started much earlier in 2003, where he assumed responsibility of the orthotic manufacture in the foundation my FootDr location – Bulimba. Nick’s orthotic lab experience as a student saw him assist in the manufacture & fitting of over 2000 pairs of orthoses, which helped develop a keen interest in mechanical foot and lower limb injuries. Nick started the Bayside clinic in Cleveland in 2008 with my FootDr, and is now a partner in this bustling 4 podiatrist clinic. With the move into ownership, Nick now continues to treat new patients, & his many existing patients 3 days a week, and has a big part of mentoring new graduates as they start their Podiatry careers. 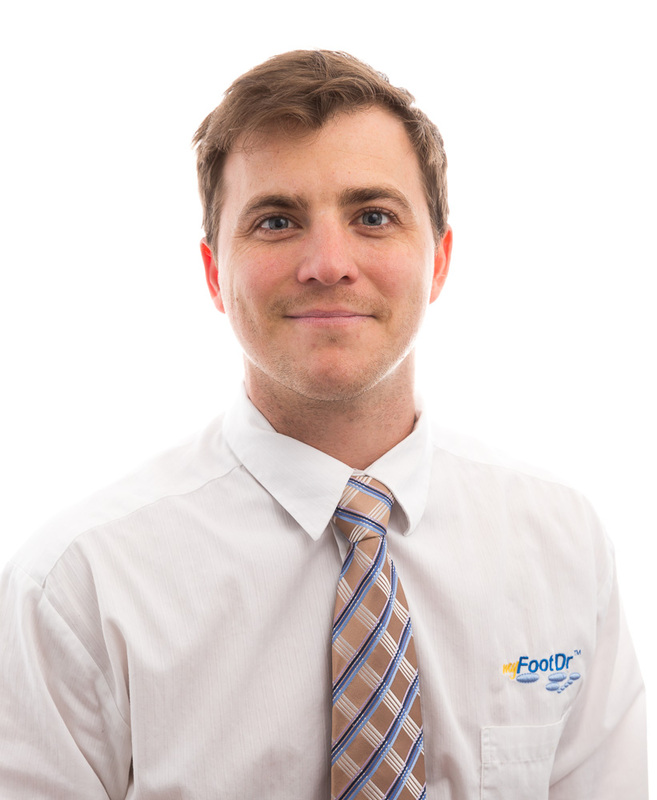 Nick now specialises exclusively in mechanical foot & lower limb pain. Nick keeps in touch with the podiatry profession attending both local & interstate conferences regularly, as well as the biannual Australasian Conference. He also is an active member of Sports Medicine Australia (SMA) presenting case studies & research at their regular August meeting, attended by some of Queensland’s leading GP’s, Orthopaedic surgeons, Physiotherapists & Sports Physicians. Nick is a committed & active member of the Australian Podiatry Association (QLD). Outside of the Clinic, Nick enjoys spending time in Bulimba where is proud to be born & bred, and still lives with his wife, children and 2 dogs. When time permits, a trip to Hastings Point to wet a line & drop in a few crab pots keeps him occupied outside of work.